Description: TSAL152 - Solid Power Marble Statue - Solid Power seems to be the theme of the marble statues made in Italy. These marble statues buy would make a great lawn statue. You can buy marble statues online after comparing the marble statues prices. In all fairness, who would not give as much as they could to have just one of a marble statue of a lion in their backyards? This statue marble is worth it. 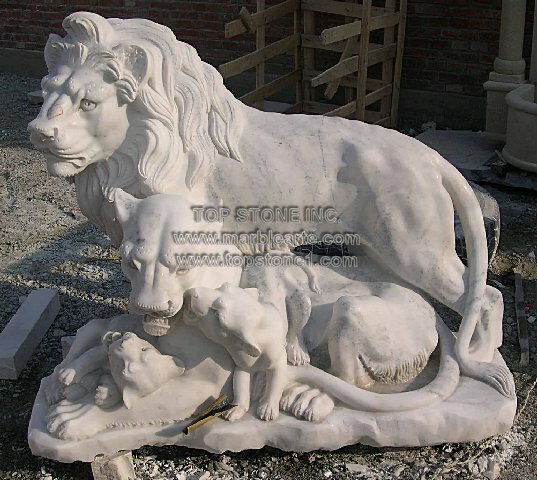 So don’t just wait another day, buy these lion garden statues today, if not for its marble carvings, then for its bonded marble status.